Stateside's conversation with Peter Yao, a Republican member of the California Independent Redistricting Commission. Gerrymandering, the drawing of a political district map to specifically give advantage to an incumbent, or to a political party, is an issue across the nation. It’s a way of watering down the will of the voters by drawing irregular lines on the map to pack the voters you don’t want into one district, while leaving another district easily won by your party. 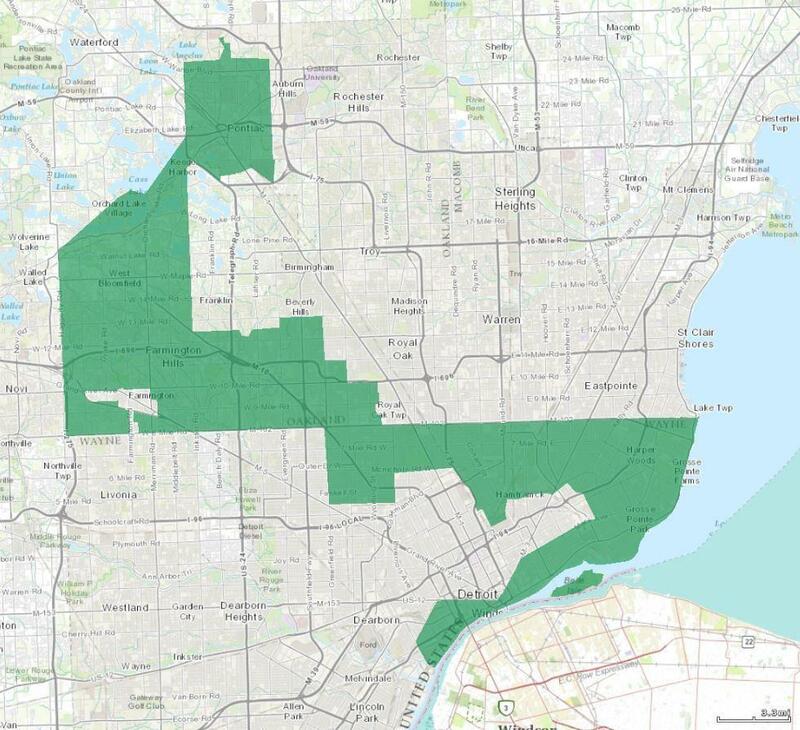 Michigan's oddly-shaped 14th congressional district, currently represented by Brenda Lawrence, is one example of political gerrymandering. In Michigan, that’s resulted in a disproportionate number of Republican legislators and members of Congress, compared to how the state votes. A group called Voters Not Politicians collected signatures to put a measure on this November’s ballot to establish an independent commission to draw districts that more accurately represent voters. But how might that work? The group invited members of California’s independent redistricting commission to explain how it works in that state. Peter Yao, a Republican member of the California Citizens Redistricting Commission, joined Stateside today. The independent commission in California, strictly speaking, is not a non-partisan commission. There are five Republicans, five Democrats, and four members not affiliated with either of those parties. But Yao said what the commission actually does is non-partisan. When determining how to draw a district, he said the independent commission follows the criteria defined by the proposition, the requirements for the maps, and community data. Listen above for more on how California’s districts have changed, and how that state's independent redistricting commission works. 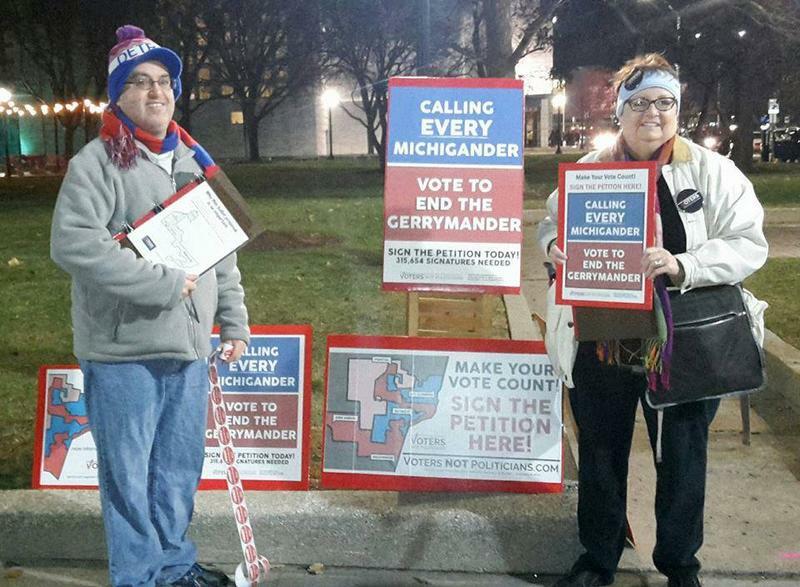 A grassroots group of citizen activists opposed to partisan gerrymandering is making rapid progress toward its goal of getting a redistricting proposal on the ballot in Michigan in 2018. An all-volunteer force, about 4,ooo strong and spread over 83 Michigan counties, has collected about 450,000 voter signatures in four months. That's according to Katie Fahey, president of the ballot committee called Voters Not Politicians. "We have blown our goal out of the water," said Fahey. The dean of Michigan State University's school of osteopathy, who supervised former sports Dr. Larry Nassar, is stepping down. Lawsuits filed against the university by alleged victims and their families say William Strampel and other MSU officials ignored warnings that Nassar was a predator. MSU says Strampel is resigning as dean for "medical reasons" and will remain on the faculty. This Week in Review, Weekend Edition host Rebecca Kruth and senior news analyst Jack Lessenberry talk about whether we'll see more stories like this from MSU in the coming weeks and months.